Located almost 30 kilometres from Hyderabad, Chilkur is a small picturesque village which is also a popular pilgrimage. It is in this sacred village where the famous Chilkur Balaji temple is built. On the banks of Osman Sagar Lake, close to the Vikarabad road, this temple attracts hordes of devotees from all over the country. 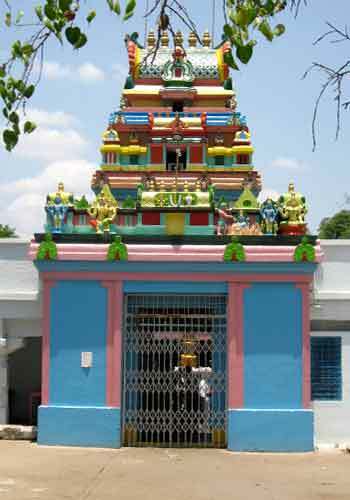 Chilkur Balaji temple has a pleasing architecture too, boasting of being one of the oldest temples in Telangana. It is said that this temple was built more than half a millennium ago. Built almost five hundred years ago, the temple is being considered as an alternative of Tirumala temple. The main deity of the temple is Lord Balaji Venkateswara along with Sridevi and Bhoodevi accompanying him. There is a legend behind the construction of this temple. 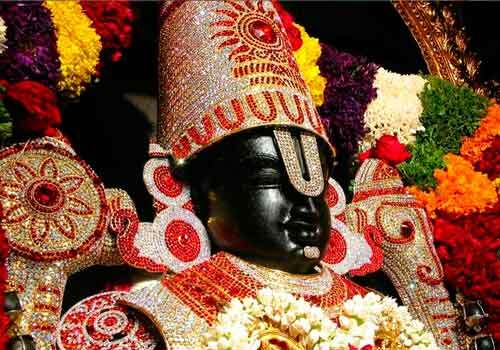 According to the tales, the temple was built by a devotee who after having health issues couldn't visit the Tirupati temple which he used to do earlier. Having moved by his devotion, Lord Venkateshwara appeared to him and instructed him to find the idol of the lord, together with Sridevi and Bhoodevi and build a temple. 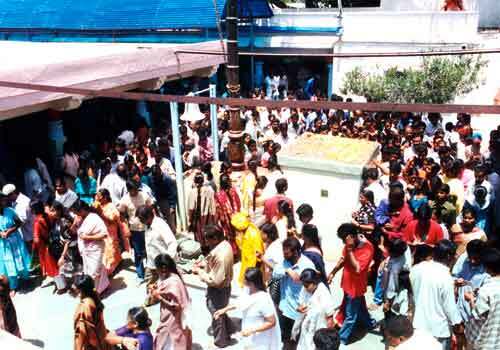 Since then, the devotees are known to seek e the blessings of the Lord Shri Balaji Venkateshwara. 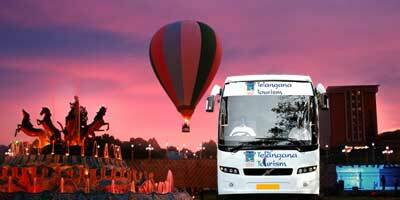 Many people, who cannot go to Tirupati temple, often come here. 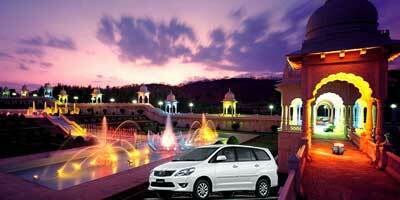 This temple is also popularly known as “Visa Balaji temple”. Apparently the temple is known for fulfilling devotees’ wishes to get a visa for going overseas. 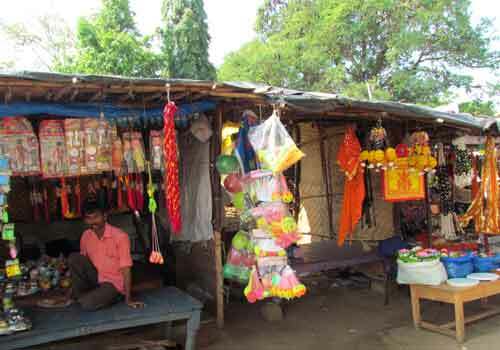 Chilkur balaji is also known for being one of the very few temples in India without any hundi or donation box, preaching only the devoutness in one’s nature. Usually the devotees follow a common pattern. They offer 11 “pradakshinas” and their prayers to the deity. Once the wish is granted, they take 108 pradakshinas of the temple to show their gratitude and thank the God. The rounds are done amid the chanting of mantras and religious yet lively talks of the highly educated priests, who speak and motivate devotees in English and Telugu.This temple is known for its positive and peaceful atmosphere, away from the commercialized touch. 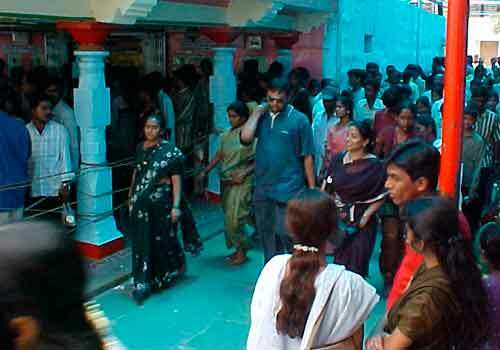 It is approximated that about 75,000 to 1 lakh devotees visit Chilkur balaji temple of Hyderabad every week. 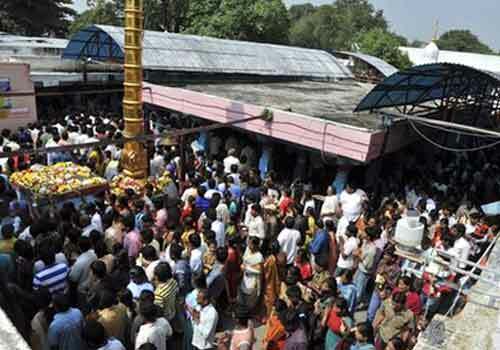 Although it is visited by hordes of devotees throughout the year, the number of visitors increases by many folds during the occasion of Anakota, Brahmotsavams and Poolangi. 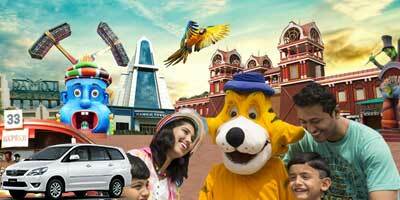 Chilkur Balaji temple is also visited by many great spiritual and religious gurus also. To name a few, Chilkur balaji temple is often visited by Jeer of Sri Ahobila Mutt, Tilakayaths of Shri Vallabhacharya Sampradaya, . Jagadguru Sri Sankaracharya of Sringeri Mutt and many others. 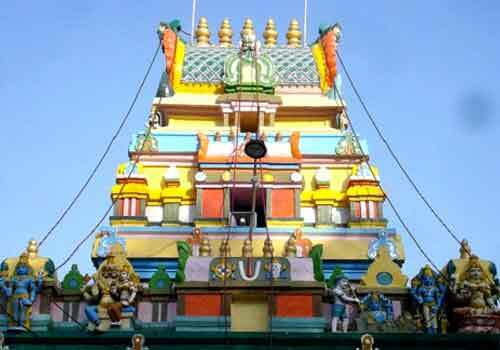 Chilkur Balaji temple darshan timings are from 5 in morning to 8 in night. It is open throughout the week. Devotees can be seen doing pradakshina since morning till late in night. Outside the temple there are many small hotels as well. For accommodation you can go to the Haritha Hotel by Telangana Tourism which is located very near to the chilkur balaji temple. We went early in morning. Chilkur Balaji timings are from 5 to 8 pm but we reached by 7. It was already crowded by then. In spite of the crowd we had good darshan. Most of the crowd is because of the devotees doing pradakshina. So when we entered the shrine for darshan there were very few people inside. Outside the temple there are small restaurants too, we had our bf there and came back. Overall i loved the temple and its atmosphere. This temple is always crowded it seems, and on weekends even more. I have read that more than 1 lakh people visit chilkur balaji every week! So better to go on a weekday. We went on Monday morning. It wasn’t that crowded, we could quickly finish our pradakshinas. We even sat in temple premises for sometimes. Felt nice. On your visit to Chilkur Balaji temple, after the darshan, take a short tour of the village too. It is a pleasant experience. you get can get really fresh fruits in the village. I and my partner, we both had a relaxed and peaceful day. 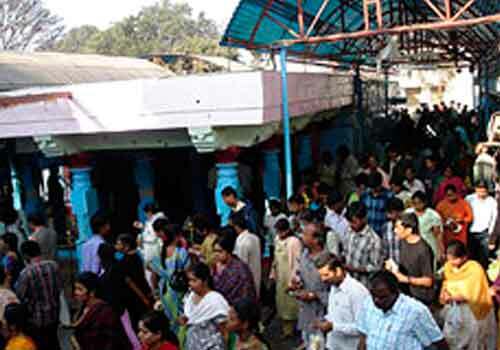 Chilkur balaji temple timings are from 5am till 8 in night. it is open throughout the day. I really liked this temple. In spite of such a crowd it is well organized and clean. There is no pushing or pulling. Everyone was walking peacefully for pradakshina. Priests also motivate people, talk about good religious topics to devotees, even call and talk personally to kids. It a good place for them to learn and understand Hindu culture. 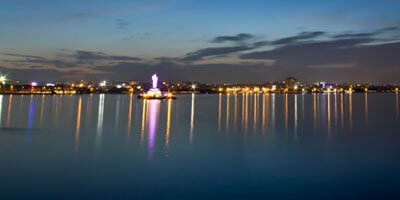 It is a very famous temple in Hyderabad, I had heard a lot about it so went on my last visit to Hyderabad. There is not much of Chilkur Balaji temple history but everyone seems to have a strong faith in it. It is indeed a different temple. It was so peaceful there even though it was crowded. There is no hundi inside the temple and priests for a change were educated and not looking to steal your money! Chilkur balaji is known for a very weird reason. People come here to wish for a visa. Many students and young people can be seen here doing their pradakshina for visa. It seems wishes are granted too. Apart from that it's a nice temple to visit. Simple and clean. There is no hundi here in this temple. it is not like other temple. Chilkur Balaji temple Hyderabad is definitely a must visit. The temple is not grand or anything. Its a small temple in a village chilkur, very peaceful. 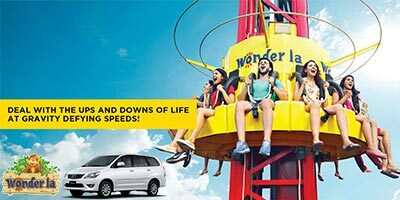 The drive from Hyderabad to here takes about 40 minutes to 1 hour. It was good drive, green and secluded roads. If not in car, you can go by buses too. It was crowded then so took us a little more time for darshan. Darshan timings at chilkur balaji are from 5 to 8 in night. Will go again, mostly of the long drive!